My passion for street art began in Paris, where I live. When we first hang out on the streets with Steve, we saw the huge amount of urban art pieces on the walls. Some were very tiny (my fav’) and some huge! It depends where you are and how big are your eyes. I realize that not all people walking on the streets are aware of what is being exhibited on the walls… Fun thing! I think that I see pretty much everything, and since then I recognize all the artists. And not only in Paris as I travel a lot and therefore I’ve been to a lot of artistic places and met several artists. Some we are now friends with. We started this blog to promote the artists’ artwork as we found it amazing and we wanted to highlight their talent. We always had a lot of ideas for our blog and for StreetLove in general but we missed a lot of time. Days are often not long enough to allow us to do everything we want. Plus we have very busy jobs in parallel. 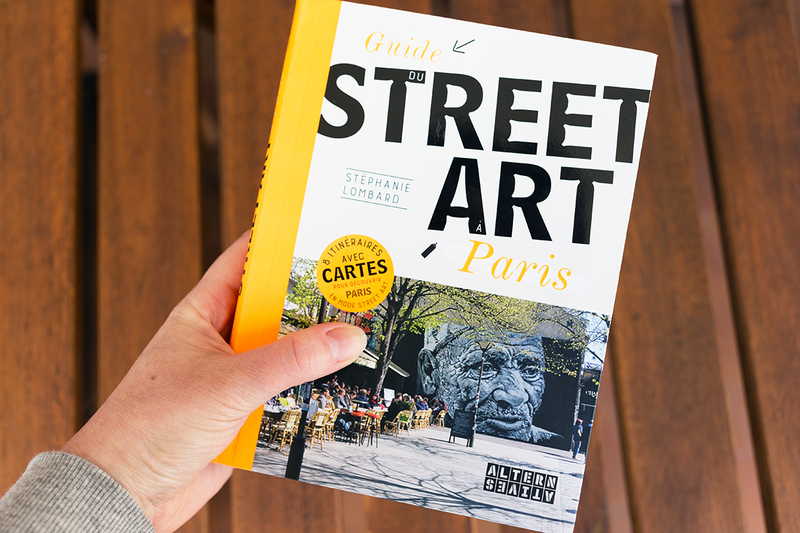 Anyway, I’m glad to promote the nice work another blogger did – a street art guide that will walk you through the best places to go to find good street art pieces in Paris. We had this idea of a magazine / book and never had the time to actually do it. 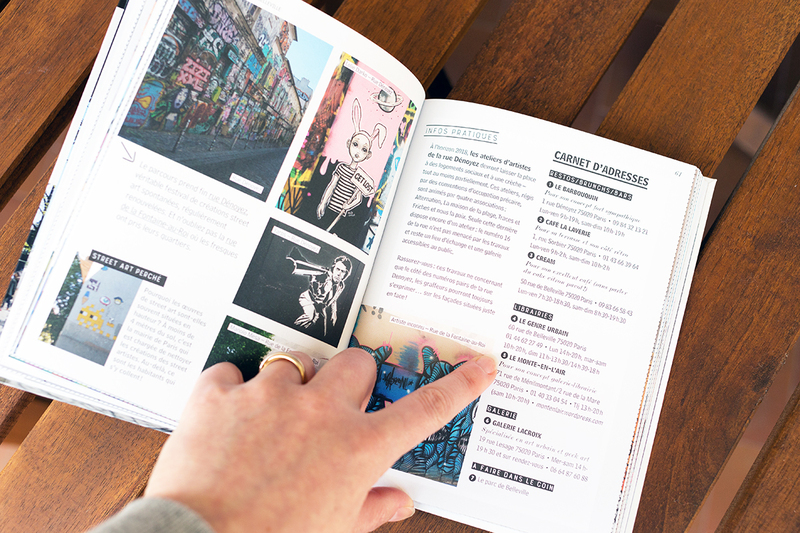 So it’s nice to see what ours could have been… Well done to the author – Stéphanie who also blogs on Wonder Brunette and who kindly refers to our StreetLove blog at the end of her book. Thanks for that, we really appreciate! 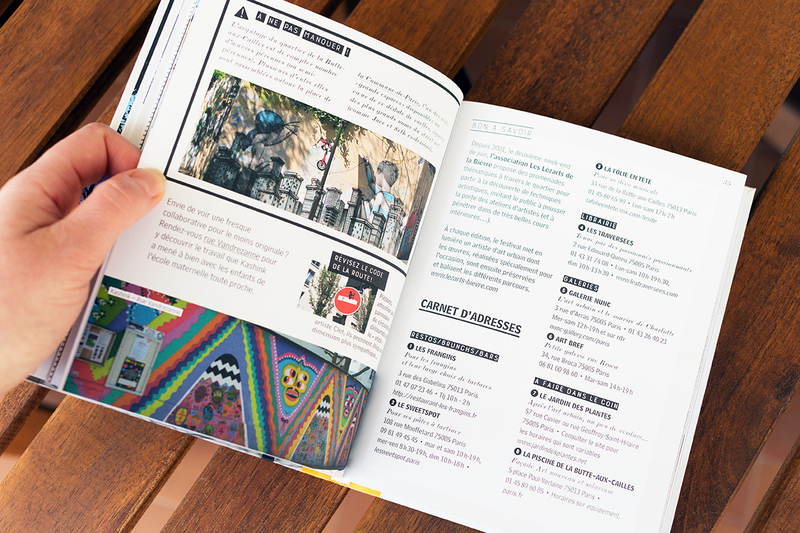 I had the chance to get a copy of the book and I dived into it to see what street art is from another point of view. Well, I admit that the book is well written and gives a lot of useful info to people who want to know and see more about Paris artistic scene. I never took part in one, but I know that more and more guided visits are organized in Paris – of course – and also in London, Melbourne, Amsterdam, Brussels, Amsterdam, … that shows the increasing interest people have for this kind of art – which is good and makes me happy for the artists. They all deserve to be known and recognized for their work. When I see one in action, I am always impressed by the creativity first, the technique and their ability to adapt their ideas to the surface they got and the place they have. Bravo guys! 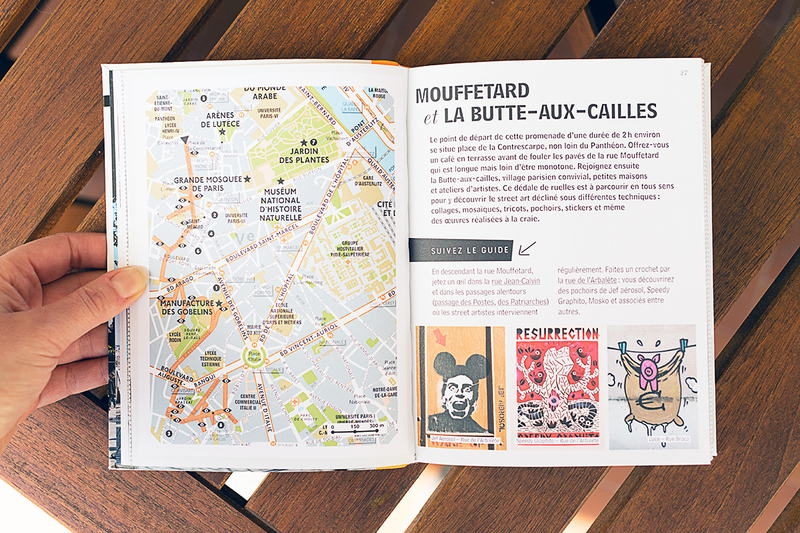 As well as info about street art in Paris, you will also find some nice adresses to hang out – like cool coffee shops, art galleries, restaurants, and also touristic places not to miss. Kind of a lifetsyle book to always carry around with you! So make sure you don’t leave home without it. Are showcased in this guide, the paris areas of the 13th district, as well as around the Canal de l’Ourcq, Oberkampf (11th district), Belleville (10th district), … And without forgetting outside of Paris – with Vitry sur Seine otherwise known as C215 house. 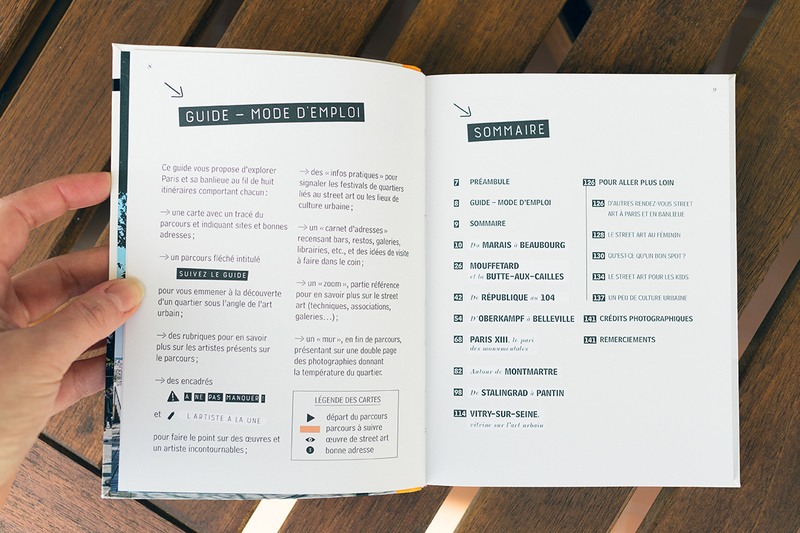 In total, 8 itineraries are presented (7 in Paris and 1 in Vitry) to discover the best places to go with some good info on the artists you will find: Jef Aérosol, Seth Globepainter, Jérôme Mesnager, DaCrUz, and the girls Miss.Tic and Alice not to mention all.